Using an electric mixer, mix the sugar, Nutiva, vanilla & eggs together. In a separate bowl, mush the bananas with a fork & stir in the water. Add the banana mixture to the other bowl of ingredients. Add in the flours, baking soda, baking powder & sea salt. Mix the ingredients together. Stir in the chocolate morsels (if desired). Coat a glass baking dish or bread pan with Price Chopper non-stick baking spray. Add in the batter & bake. Approximately 50 minutes for a bread pan & 25 minutes for 8 x 8 pan. 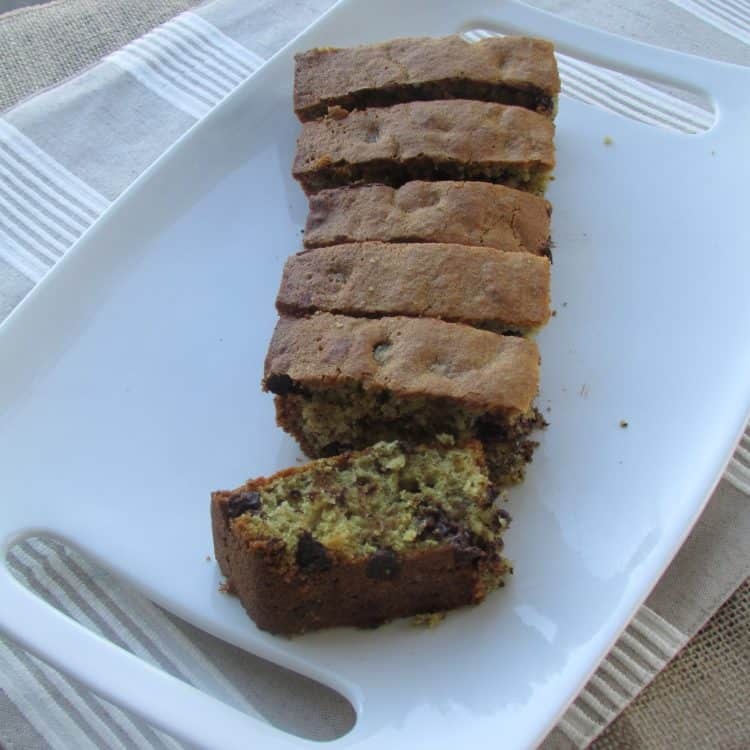 Your Banana Bread looks perfect for the holidays, very moist and delicious! Hope you have a very special week and thanks so much for sharing with us at Full Plate Thursday. THANKS – hope you had a great holiday season!